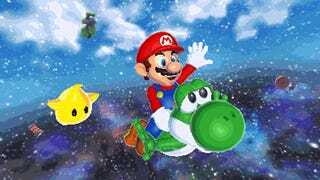 One of 2013's best surprises was the release of four unusual games for the Nintendo 3DS, all experimenting with a new style of multiplayer game little seen in the long history of interactive entertainment. The games were made by four Japanese studios, all overseen by Nintendo. Where did the games come from? Why were they made? And what's up with that 10-person StreetPass limit? Today, we have answers, straight from Nintendo HQ in Kyoto, Japan. Some background: I'd been fascinated by the 3DS' four new StreetPass games--Mii Force, Flower Town, Monster Manor and Warrior's Way—and I wrote about how innovative I thought they were. If you don't know what the StreetPass games are like, the gist is that these are games you play by yourself on the 3DS but that only function if you are using either 1) the Miis you automatically collect from other players' systems by having your 3DS several feet away from theirs or 2) weaker Miis you can buy using a fake Nintendo currency you can only earn by walking around with the 3DS (the machine has a pedometer). I'd seen essentially no interviews at all about these games and figured, hey, that's my job! I fired off some questions to Nintendo. The resulting interview, which you'll see below, was conducted by e-mail. That's why there's none of the trademark laughter you see in official Iwata Asks interviews. Well, that and the fact that I'm not Satoru Iwata. Kotaku: I found this year's four new StreetPass games very interesting. They strike me as very unusual games, because the StreetPass style of gaming feels like a new way of playing alone and, in a way, with other people. I would like to know more about how these games came to be and what you think the potential is for these kinds of games. Thank you in advance for answering my questions about them. Mr. Kawamoto, I did some research online and I believe that you are the director of the StreetPass Mii Plaza on 3DS. I was curious if you could tell me how you got that assignment and what your intent has been for the Plaza project. Was it supposed to be a social thing? Or more of a game thing? Kouichi Kawamoto: I (Kawamoto) am the director of StreetPass Mii Plaza. I think the aims of the StreetPass Mii Plaza project were pretty simple: StreetPass would get used a lot more often if there was a StreetPass game included with every system, and using Mii characters in the data exchanged will help them seem more alive. Kawamoto: "I wanted something that... used StreetPass to make meeting other people seem more like a single-player game." During the planning phase, I wanted something that, as opposed to all the countless other social services already out there, used StreetPass to make meeting other people seem more like a single-player game. Trying different things from what other people are doing is always seen as a good thing at Nintendo. 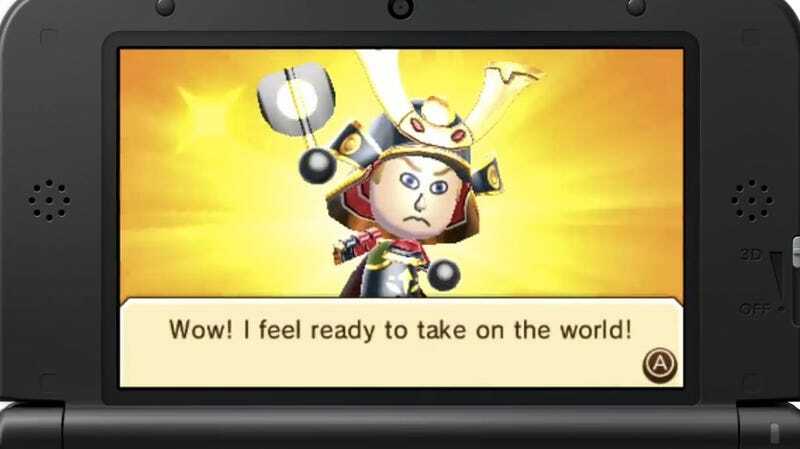 With StreetPass Mii Plaza, the player's the only true hero in the plaza world, and there are as many of those plaza worlds out there as there are 3DS systems. It's not a social approach, but more of a single-player-game way of thinking. Kotaku: When the 3DS launched in early 2011, the StreetPass plaza only had two games: Find Mii and the puzzle piece game [Puzzle Swap]. Where did the idea for those games come from? After all, it's very unusual for a game machine to come with a free turn-based RPG that you can play with people whose systems you walked past! Kawamoto: Both of the games got their start from our drive to make players feel like they accomplish something by using StreetPass. The idea behind Puzzle Swap was to have players complete something as they engaged all sorts of people around them with StreetPass. At the start of development, we figured it'd be fun if players went around the country as they used StreetPass; thus it was set up so you couldn't choose other players' pieces and they didn't propagate around. That wound up being far too difficult, though, so you can now choose specific pieces and natural propagation now takes place. With Find Mii, both me and the rest of the staff are fans of fantasy RPGs, so the project began with us wanting to make something fantasy RPG-like which had that "I accomplished something" element I mentioned above. Originally it was a pretty simple game—there was only one type of enemy, and if you encountered five people via StreetPass, you could deal 5 damage. That wasn't very fun, though, so gradually the game became more RPG-like in nature. In order to differentiate it from Puzzle Swap, we also added the element of getting stronger if you encounter the same person multiple times within a small range. Kotaku: Mr. Nonaka, if my online research is correct, you've worked on numerous Mario sports games. Is that right? How did you wind up making StreetPass games? Toyokazu Nonaka: Indeed, I've been involved with numerous Mario sports games, as well as the Wii Play: Motion project. With Wii Play: Motion, multiple development firms each created their own minigames, which we then collated into a single game. That's a pretty uncommon way for Nintendo to conduct a project, but we felt that having each company bring their own strengths and uniqueness would allow for something with a lot of variation, something a bit different from a title made by a single outfit. After that project ended, I was thinking about how we could take this co-op approach with a 3DS title when [Shinya] Takahashi, the head of my department, told me that Kawamoto was planning an expansion to StreetPass Mii Plaza and asked if we could merge our work together somehow. So this got its start once I began discussing things with Kawamoto. Nonaka: "Multiple development firms each created their own minigames, which we then collated into a single game. That's a pretty uncommon way for Nintendo to conduct a project." I was honestly a bit hesitant when Takahashi first gave me that suggestion, but the project was still kind of a vague concept at the time, and adding the really solid theme of using StreetPass is something that I remember thinking could make the game into something really fun. Takahashi also had the idea of having Nintendo try something new, something different from the old approach to selling DLC. I think that the project I had at the time combined together well with Kawamoto's Mii Plaza expansion concept in Takahashi's mind. Kotaku: After the 3DS was out for a while, Nintendo introduced Find Mii 2, which, I think you'll agree is a much better game than its predecessor. I don't think anyone outside of Nintendo was expecting the 3DS to then get four more StreetPass games this year, all of which are for more complex than Find Mii 2. They also all cost money, too. It seems like someone at Nintendo decided that StreetPass gaming was a good idea. How did this quartet of games come about? Nonaka: I see it as my mission to surprise people, so I take it as a compliment to hear that nobody was expecting it. When thinking about selling games that would be worth it for gamers to buy, we had to do something to differentiate them from the free games already available in the plaza. That difference could be in the fun, of course, but also in the amount of volume and depth to the games. Nonaka: "I see it as my mission to surprise people." Along these lines, finding the right path to take with each of the four games wasn't an easy task, but I think we succeeded in giving unique value to each title. Kawamoto has a very strong vision when it comes to making StreetPass games, so as the development companies proceeded with their work, I discussed their project proposals pretty extensively with Kawamoto. These discussions would lead to other ideas, and what you see here are the four ideas we decided to proceed with in the end. Kotaku: Can either of you talk about the idea of StreetPass games and how they are different than other games? They don't feel anything like the kind of multiplayer games Nintendo usually makes. In fact, they feel more like Facebook games that you play briefly and that you can only move forward in if you make some sort of basic connection with other people. Please tell me how unusual this style of game seems to you and what you think the core concept of a StreetPass game is. Kawamoto: The core concept I (Kawamoto) brought forward is the idea that gameplay advances forward when you use StreetPass. In other words, going outside in order to use StreetPass is an important aspect of the games. I think that's an unusual experience for people. Also, I felt it important to have the Mii characters play as active a role in the games as possible. That helps players feel like the people they're interacting with really exist. Kotaku: Let's talk about these four specific games. How did you wind up working on these? We've got a simple war game, a surprisingly complex gardening simulation, an elaborate arcade shoot-em-up and a very deep action adventure. Why those four? Nonaka: I discussed the concept process previously, but in coming up with each title, I wanted them to be more than just another game; I wanted something that a wide range of people would take interest in. The resulting variations in gameplay we came up with wound up taking the form of four different titles. We also thought that offering a line of titles in the plaza instead of selling a single product would provide more of an impact to gamers; it'd be a big surprise to them. Kotaku: Warrior's Way is the simplest of the games and some people's favorite because it takes so little time to play. What was the goal for that game for Nintendo and [its developers at] Spike Chunsoft? Nonaka: In StreetPass Mii Plaza, you gain more and more Mii characters in the plaza as you run into people with StreetPass. The plaza gets more exciting, and it's a sight that makes anyone happy just looking at it. Since seeing your Mii collection grow is fun in itself, we discussed ways with Spike Chunsoft we could make people amass even more Mii characters and do something with them once they have a bunch. That's where the battle idea came from. Battle sims like this have a reputation for being difficult, but we tried for a strategy game that a wide range of gamers could get to grips with. Warrior's Way is the result. Kotaku: Grezzo's Flower Town is a very unassuming but turns out to be a very complex game. It even has quests! How did this game come about? And why does Mr. Mendel talk so much? Nonaka: As I said before, a pretty wide range of people play StreetPass Mii Plaza. Our thought was that, instead of having four games that all went in the same lopsided direction, having them go down an assortment of paths would be more engaging. We figured as a result that it'd be nice to have at least one title that women would enjoy, so we took a lot of feedback from our female staff to heart as we proceeded with Grezzo on this project. We also included the quest and gallery elements to help add longevity to the game. Mr. Mendel was designed to be someone who likes helping people out, so that probably resulted in him liking to talk a lot. He does tend to go on a little long, though, doesn't he? Kotaku: Good-Feel's Mii Force is very interesting in that it feels like a very traditional shooter but does a lot of creative things with the number of people whose Miis you bring into the game. It even uses their shirt colors in a clever way. Can you talk about how the idea for this game came together? Nonaka: The Mii Plaza has a number element to it, and the Mii characters themselves have a color element to them, so we looked for ways that we could treat the numbers as "strength" and the colors as different abilities in some kind of game. The fact that both me (Nonaka) and the staff at Good-Feel like shooting games was big, but the genre was also a natural choice when working with the "get stronger the more you use StreetPass" keyword we were working under. It was tough to balance out all of the stages, but with an outfit like Good-Feel that has a good track record with action games, I think they were able to use their action-game knowhow to fine-tune the stage balance very well. Kotaku: Monster Manor is my favorite of the games. Prope created a very unusual game that feels like a cross between Luigi's Mansion, Diablo and Tetris. If Warrior's Way is the game that takes the least amount of time to play per session, this feels like the most involved game, the one best suited for longtime gamers. I would love to know how this game came to be. Nonaka: Thank you! I'm glad to hear that you liked it. Monster Manor was born as we thought about a game that people could play after they had gone through Find Mii. We figured that if they made it through that, they'd want to play something deeper, with a little more game-like challenge to it. Nonaka: "Monster Manor was born as we thought about a game that people could play after they had gone through Find Mii." We looked for ways to add an unpredictable element to the game, so things wouldn't always go your way. The result is this game which combines dungeon and puzzle elements. This game feels like something you might have played before, but it's completely new as well. I think having a really experienced outfit like Prope working on this helped make it into the neat package it is today. Kotaku: What have you learned about this kind of multiplayer game, now that you've made several of them? Do you feel like this is a style of game that has a lot of potential? How so? Kawamoto: We've learned that using StreetPass itself feels good in a way, more so than I had thought at first, and it's something that makes gamers happy. I think there are still a lot of gameplay styles we could explore, and not just within StreetPass Mii Plaza either. Unfortunately, I can't go into details quite yet. Kotaku: It strikes me that StreetPass games give people reasons to carry their 3DS systems around and to convince other people to do the same. That is obviously something that Nintendo wants to have happen from a business perspective. I'm curious if that business priority was a factor in the design of these games. Kawamoto: There might be a business element behind including the StreetPass functionality itself, but we didn't think much about the business perspective when coming up with StreetPass Mii Plaza's gameplay. What we focused on was what we could do to make bringing your Nintendo 3DS outside more fun. If that wasn't fun, after all, gamers wouldn't take them out and we wouldn't be getting anywhere. Kawamoto: "We set the maximum number of [StreetPass] connections to 10 to ensure we'd have room to exchange more data via StreetPass in the future." Kotaku: Also, may I ask if you were involved in limiting StreetPass Mii Plaza connections to 10 at a time? If so, why that limit? Is there any chance you might raise it? Kawamoto: We had been thinking about the possibility of expanding StreetPass Mii Plaza from the start, and we set the maximum number of connections to 10 to ensure we'd have room to exchange more data via StreetPass in the future. As a result, if we get to a point where we definitely won't expand it anymore, there is a possibility that we'll raise the number of connections. However, we have no plans to do that, and we're already transmitting a lot of data, so even if we stopped right now, I doubt that number would go up much. Kotaku: How do you decide when to release new pictures for the puzzle piece game? And who makes those animations? They're great. They remind me of animated GIFs, which are quite popular among gamers. Kawamoto: Some of the pictures are created by our team, and sometimes the development companies come in and say they want to make them. Generally we have the team or developer behind the theme game produce the animation. Often we're amazed at how intricate these pictures are when we get the data; we show them around to the staff and so on. I really appreciate all the people that put in the work on these pictures. Kotaku: Finally, what is the future for StreetPass games? If there are any in development that you can share any details about, please do. Kawamoto: Sadly, there's nothing I can really talk about at this moment. Kotaku: Thank you for your time! To contact the author of this post, write to stephentotilo@kotaku.com or find him on Twitter @stephentotilo. Find Mii image via Nintendo Wikia. Puzzle Swap images via YouTube. See higher-res Puzzle Swap GIFs here, though they do look the best on the 3DS itself.